Healthcare quality is a direct correlation between the level of improved health services and the desired health outcomes of individuals and populations. For the Institute of Medicine, quality is directly linked to an organization's service delivery approach or underlying systems of care. This area of research at CPCE seeks to improve pediatric healthcare delivery at the systems or processes level. The ultimate purpose of this project is to help clinicians and administrators optimize workload-workforce balance in the pediatric hospital setting to achieve care that is safe, effective, efficient, timely, patient-centered, and equitable. We adopt a multidisciplinary approach to understand the complex nature of patient flow by applying evidence-based management and operations research to determine how capacity may be matched to demand/need in a hospital setting and the consequences if an imbalance exists.. In this research, CPCE researchers examine associations between dynamic aspects of workload, workforce, and quality of care at children’s hospitals and seek to address methodological problems of measuring utilization at hospitals, particularly in a general pediatric care setting. Early work has focused on developing and validating administrative measures of inpatient workload, workforce, and selected quality endpoints (e.g., length of stay derivatives, medication errors, safety events, and readmissions). 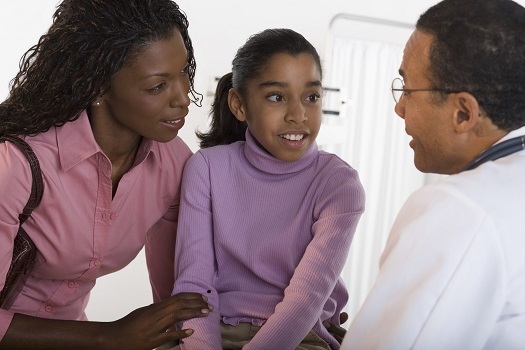 Current efforts are focused on identifying workload and workforce factors associated with length of stay, readmission, and medication errors for children with common general pediatrics diagnoses. What’s Next: Future work aims to develop a prediction rule and to examine operational strategies to prevent or respond to periods of workload and workforce mismatch in order to optimize quality and safety. The outcomes of this project will provide valuable tools for health services researchers, hospital leadership, regulatory agencies, and training programs to grasp the specific imbalances of workforce-workload matching that result in inefficiency or reduced quality of care. Please contact Evan Fieldston, MD, MBA, MSHP, medical director of Clinical Operations at CHOP, for more information about this line of research. The goal of this line of research is to improve the recognition and response to hospitalized children whose health is rapidly deteriorating. In terms of recognition, this includes work developing and evaluating systems that help to identify deterioration earlier than previously possible. It also includes work to better understand the science of alarm fatigue among healthcare providers in hospital settings and to develop tools and strategies to eliminate the associated hazards of alarm fatigue. Dr. Bonafide's alarm fatigue research has been featured in the CHOP Cornerstone Blog, on NPR's The Pulse and in The Wall Street Journal. Please contact Christopher P. Bonafide, MD, MSCE, CHOP attending physician in the Division of General Pediatrics and Assistant Professor of Pediatrics at the University of Pennsylvania for more information about this research. Asthma is a leading cause of hospitalization and re-hospitalization in childhood. In this series of projects, we are assessing the effectiveness of the elements of hospital discharge care for asthma as well as assessing the association between medication fills (patients filling their prescriptions) and readmission by using national Medicaid claims data and Cox regression modeling. We are also conducting systematic and narrative reviews of the existing literature for interventions intended to improve discharge care. In assessing the associations between medication fills for recommended asthma discharge medications and readmission over various intervals following asthma discharge we have found that filling beta agonists and inhaled steroids immediately following hospitalization were associated with a reduced hazard of early readmission (14 days), a finding that persisted to 90 days for inhaled steroids. Despite this, only 55% of children had a beta agonist fill and 37% had an inhaled steroid fill within 3 days of discharge. What’s Next: Using quality improvement methodology, we have recently completed a successful pilot to enhance the proportion of patients leaving the hospital with discharge medications in hand and are scaling this practice hospital-wide. We plan to assess the effectiveness of this intervention using an interrupted time series design. Fieldston ES, Zaoutis LB, Hicks PJ, Kolb S, Sladek E, Geiger D, Agosto PM, Boswinkel JP, Bell LM. Front-line Ordering Clinicians: Matching workforce to workload. J Hosp Med. 2014 Jul;9(7):457-62. Fieldston ES, Zaoutis LB, Agosto PM, Guo A, Jonas JA, Tsarouhas, N. Measuring Patient Flow in a Children’s Hospital Using a Scorecard with Composite Measurement. J Hosp Med. 2014 Jul;9(7):463-8. Haferbecker D, Fakeye O, Medina SP, Fieldston ES. Perceptions of Educational Experience and Inpatient Workload Among Pediatric Residents. Hosp Pediatr. 2013 Jul;3(3):276-84. Fieldston ES, Li J, Terwiesch C, Helfaer MA, Verger J, Pati S, Surrey D, Patel K, Ebberson JL, Lin R, Metlay JP. Direct Observation of Bed Utilization in the Pediatric Intensive Care Unit. J Hosp Med. 2012 Apr;7(4):318-24. Fieldston ES, Ragavan M, Jayaraman B, Metlay JP, Pati S. Traditional Measures of Hospital Utilization May Not Accurately Reflect Dynamic Patient Demand: Findings from a children’s hospital. Hosp Pediatr. 2012 Jan;2(1):10-8. Daymont C, Bonafide CP, Brady PW. Heart Rates in Hospitalized Children by Age and Body Temperature. Pediatrics. 2015 May;135(5)e1173-81. Karnik A, Bonafide CP. A Framework for Reducing Alarm Fatigue on Pediatric Inpatient Units. Hosp Pediatr. 2015 Mar;5(3):160-3. Bonafide CP, Lin R, Zander M, Graham CS, Paine CW, Rock W, Rich A, Roberts KE, Fortino M, Nadkarni VM, Localio AR, Keren R. Association Between Exposure to Non-actionable Physiologic Monitor Alarms and Response Time in a Children’s Hospital. J Hosp Med. 2015 June;10(6):345-51. Bonafide CP, Zander M, Graham CS, Weirich CM, Rock W, Rich A, Roberts KE, Fortino M, Nadkarni VM, Lin R, Keren R. Video Methods for Evaluating Physiologic Monitor Alarms and Alarm Responses. Biomed Instrum Technol. 2014 May-Jun;48(3):220-30. Bonafide CP, Localio AR, Song L, Roberts KE, Nadkarni VM, Priestley M, Paine CW, Zander M, Lutts M, Brady PW, Keren R. Cost-benefit Analysis of a Medical Emergency Team in a Children’s Hospital. Pediatrics. 2014 Aug;134(2):235-41. Bonafide CP, Localio AR, Roberts KE, Nadkarni VM, Weirich CM, Keren R. Impact of Rapid Response System Implementation on Critical Deterioration Events in Children. JAMA Pediatr. 2014 Jan;168(1):25-33. Bonafide CP, Brady PW, Keren R, Conway PH, Marsolo K, Daymont C. Development of Heart and Respiratory Rate Percentile Curves for Hospitalized Children. Pediatrics. 2013 Apr;131(4):e1150-7. Kenyon, CC, Rubin, DM, Zorc, JJ, Mohamad, Z, Faerber, JA, Feudtner, C. Childhood Asthma Hospital Discharge Medications and Subsequent Risk of Readmission. J Pediatr. 2015 May;166(5):1121-7. Kenyon, CC, Auger, KA, Adams, SA, Loechtenfeldt, AM, Moses, JM. Improving Asthma Care in the Hospital: An overview of treatments and quality improvement interventions for children hospitalized for status asthmaticus. Current Treatment Options in Pediatrics. 2015 March;1(1):100-12. Auger, K, Kenyon, CC, Feudtner, C, and Davis, M. Pediatric Hospital Discharge Interventions to Reduce Subsequent Utilization: A Systematic Review. J. Hosp. Med. 2014 Apr;9(4):251-60.